Many authorities not only require foreign documents and certificates to be translated but they require so called certified translations. First, the certified translation is one that is printed and stamped and signed and furnishes a special certification clause by the translator. The client receives an original copy. who is entitled to certify? Only translators with an appropriate authorization may certify their translations. 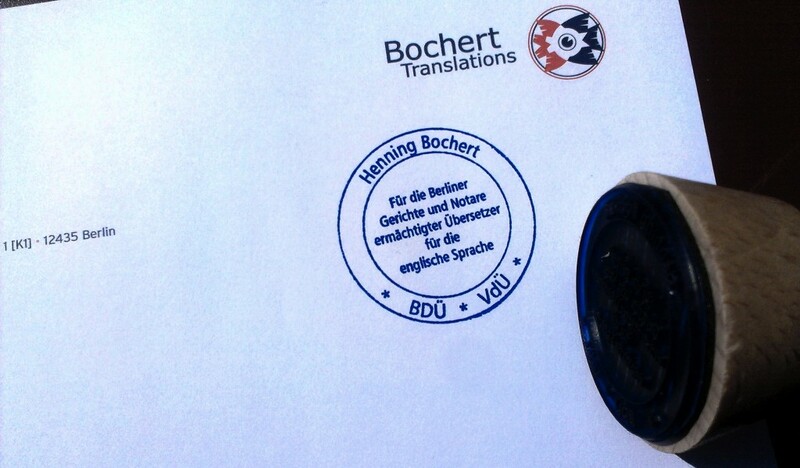 The translator is authorised to do this by a court (e. g. the district court of Berlin) if the required qualifications can be presented. This includes a degree in translation studies or a state certificate issued after the translator examination. This can be achieved at the national examination authorities (staatliches Prüfungsamt) of any federal state.